Some say that the elephant was once human, tricked by her husband into taking the form of an animal. Others tell of the man who stole the elephant’s skin, and forced her to live as a human, as his wife. And in one tale, a struggle between an elephant and crocodile left the elephant with a much, much longer nose than before. It’s no surprise that Africa abounds with myths about the giants roaming their lands. Many legends portray elephants as wise, strong, and just, although some take into account the capacity for elephants to commit violence and economic damage. If you’re at all curious about the role these environmental giants played in human mythology, read on! A myth from the Kamba tribe in Kenya¹ offers an origin story for elephants that explains their intelligence: elephants were once human. In the tale, a poor man, hearing of the wealthy, generous Ivonya-Ngia (“He that feeds the Poor”), set out to discover the secret to being rich. After a long journey, the poor man arrived at a beautiful mansion surrounded by verdant pastures with abundant herds of cattle and sheep. Ivonya-Ngia generously offered the poor man a hundred sheep and a hundred cows, but the poor man refused, demanding not charity, but Ivonya-Ngia’s secret to success. So Ivonya-Ngia gave the poor man ointment and told him to rub it on his wife’s canine teeth. The poor man left and convinced his wife to participate, because it would make them rich. Soon after, her teeth elongated and toughened into ivory tusks the length of a man’s arm. The poor man pulled the tusks and sold them, and excitedly began rubbing the ointment on her teeth again. This time when his wife’s tusks grew in, she refused to let her husband touch them, and eventually her entire body changed, growing and greying until she changed into an elephant. She left her husband to wander the forest, where she gave birth to their sons, the first line of elephants. In a similar myth¹ from Chad, a hunter selfishly tries to control his elephant-wife. After finding a beautiful elephant skin in the forest, he hides the hide, and later comes across a woman crying about losing her nice clothes. He promises her new clothes, takes her in, and marries her. But eventually she discovers her hidden skin, slips into it, and returns to live in the forest as an elephant. It’s said that the clan with an elephant totem, who need not fear elephants, are descendants of the once-captive elephant woman’s sons. Researcher Lorraine Moore interviewed a group of Namibian people settled in the West Caprivi, where land restrictions have resulted in the highest human-elephant ratio and levels of human-elephant conflict in Namibia, to study how cultural memory (like mythology and collective stories) impacts modern knowledge about elephants. Moore found that many legends from the Caprivi strip anthropomorphized elephants²: the Kwhe also believed elephants were originally human, and their myths depict elephants as chieftains and policemen, both strong and wise. In one story, a tug of war deviously organized by Hare ends in Elephant beating Hippo by pulling him out of the water². Many people believed in the wisdom of elephants. The three great animal chiefs from Gabon legend are the leopard, powerful and cunning, the monkey, malicious and agile, and the elephant, wise and strong³. People from Ghana and Sierra Leone regarded elephants as past human chiefs or ancestors³. And a South African legend depicts a young girl, outcast from her tribe, who finds a kind, eloquent elephant and marries him; their children are the ancestors of powerful chiefs³. 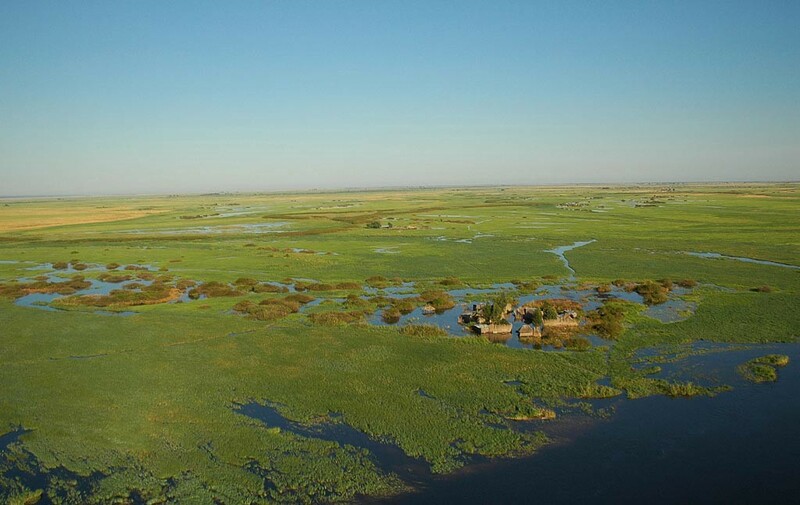 But not all myths are so reverent: some farmers interviewed by Moore in Caprivi describe how a fight between a crocodile and elephant stretched the elephant’s nose into the trademark trunk². The tale also seeks to explain the elephant’s anger, warning others of elephants rampaging through farmland and destroying valuable crops. “I think this is a convenient way to badmouth a neighbor,” she concludes. Forest elephant expert Andrea Turkalo added that many people seem to have stories about animal transformation. “This involves all species. I once had a neighbor in CAR who was said to transform into a cow for a couple of days,” Turkalo writes⁵. 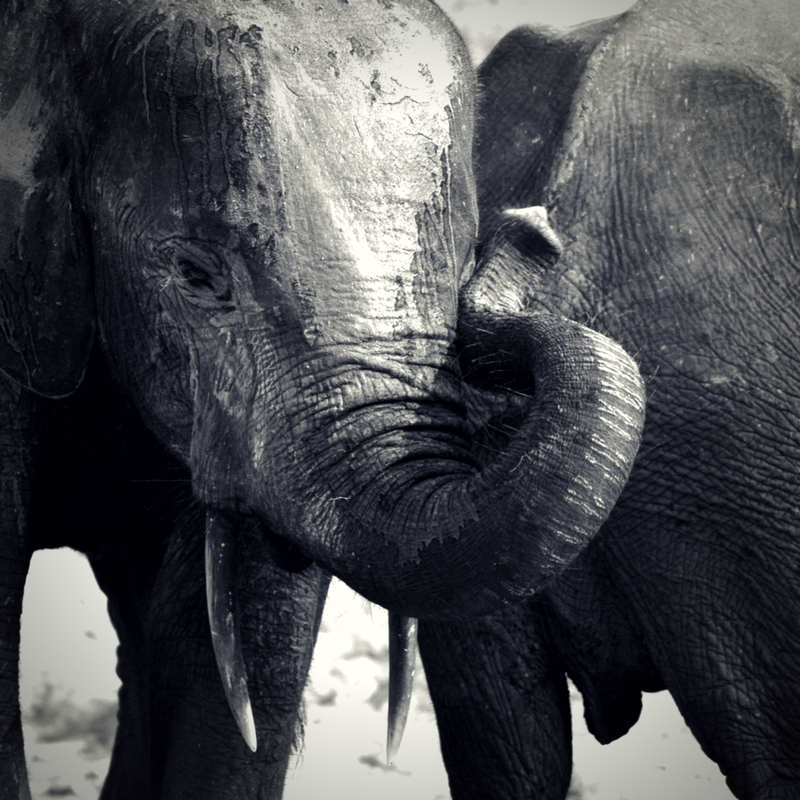 These myths are interesting not only for the content, but for their potential influence on human-elephant relationships today. If one way to badmouth a neighbor is to blame them for damaging crops while transformed into an elephant, then people living day-to-day next to elephants may feel less sympathetic about saving them. On the other hand, circulating myths that describe elephants as wise, just, and poignantly human may help convince people around the world that elephants are worth saving. Although we know elephants are not descended from humans, these myths anthropomorphize elephants in telling ways: the human intelligence and emotions these beautiful giants possess have always made an impact on people. Though they may not house the souls of our dead ancestors, it seems that to this day elephants remain valuable subjects for human contemplation and story-telling. “Mythology, legends, beliefs, and traditional stories from Africa.” A-gallery: A Web Gallery of Contemporary East and South African Paintings, accessed February 3, 2018, http://www.a-gallery.de/docs/mythology.htm. Lynch, Patricia. African Mythology: A to Z. New York: Chelsea House Books, 2010. Hedwig, D. (2018, February 19). Email. Turkalo, A. (2018, February 21). Email. To conserve the tropical forests of Africa through acoustic monitoring, sound science, and education, focusing on forest elephants.